It's important for children to know about food. They should know the names of food as well as the look, feel, smell and taste of it and they should have a knowledge of where food comes from. 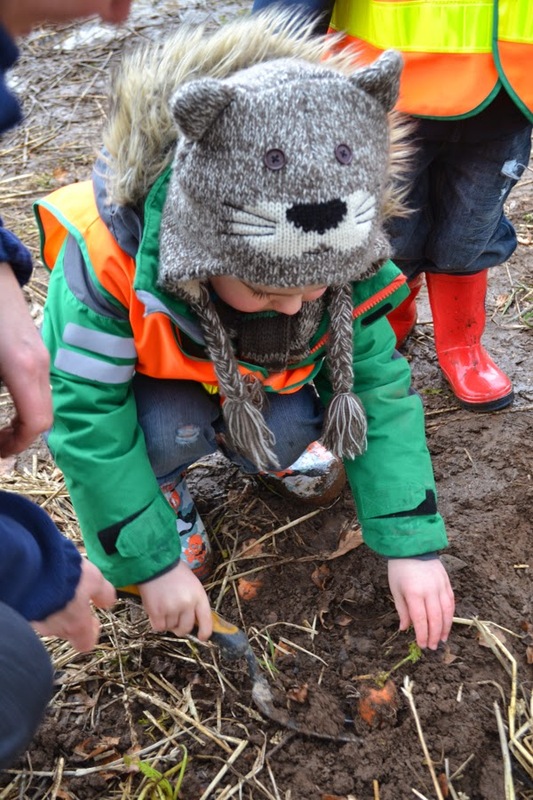 Recently I accompanied Cooper on his nursery visit to Rosemount Farm on the Blairgowrie Estate in Perthshire, where he learned all about the farm and the food grown there. It was part of the Co-operative's From Farm to Fork Initiative. 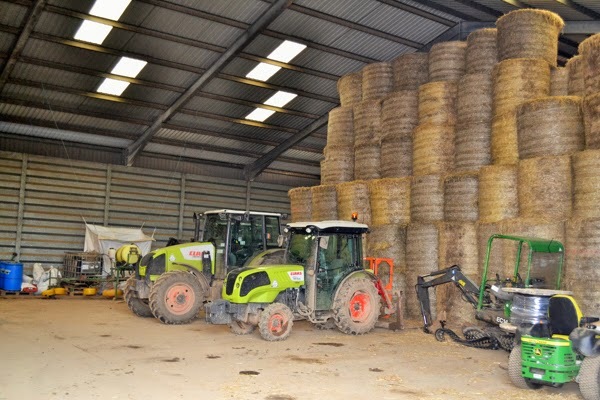 Over 65,000 children from across the UK have visited a local farm and I think it's a fabulous venture. 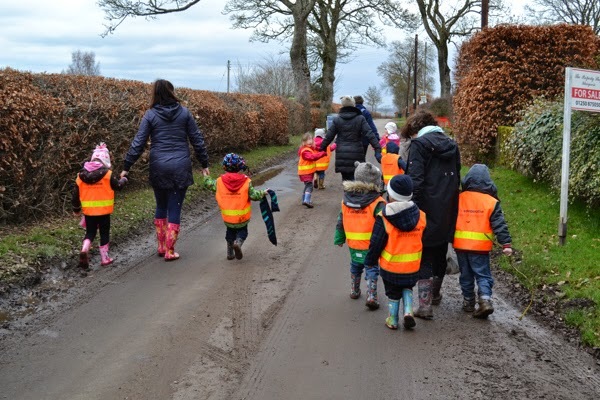 The day started off with us all clambering on to the bus for our journey to the farm with wellies at the ready and a lunchtime snack packed safely in our bags. On arrival the children were greeted by Margaret Hart, the project leader and taken into an informal classroom where they listened to a talk with slides about the farm and what they grow. There was a rather nice demonstration of wheat being ground into flour and lots of questions and answers. The group were then split into two groups and they started their adventures on the farm. Cooper started his visit with some baking. 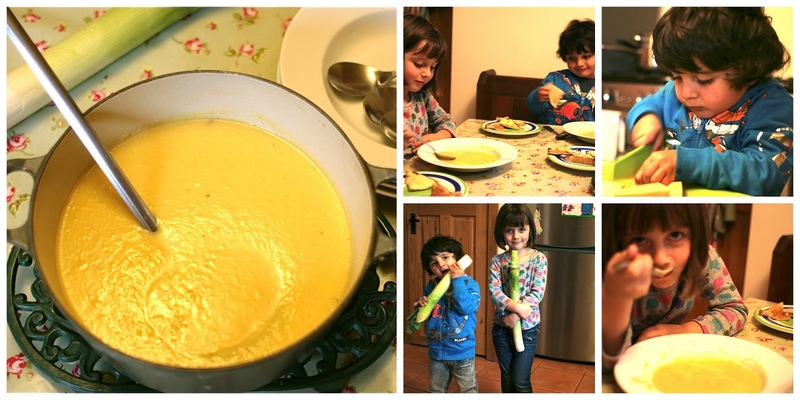 If you've seen Cooper's cookery series over at Baby Centre or have seen some of his appearances on this blog you'll know how perfect this was. 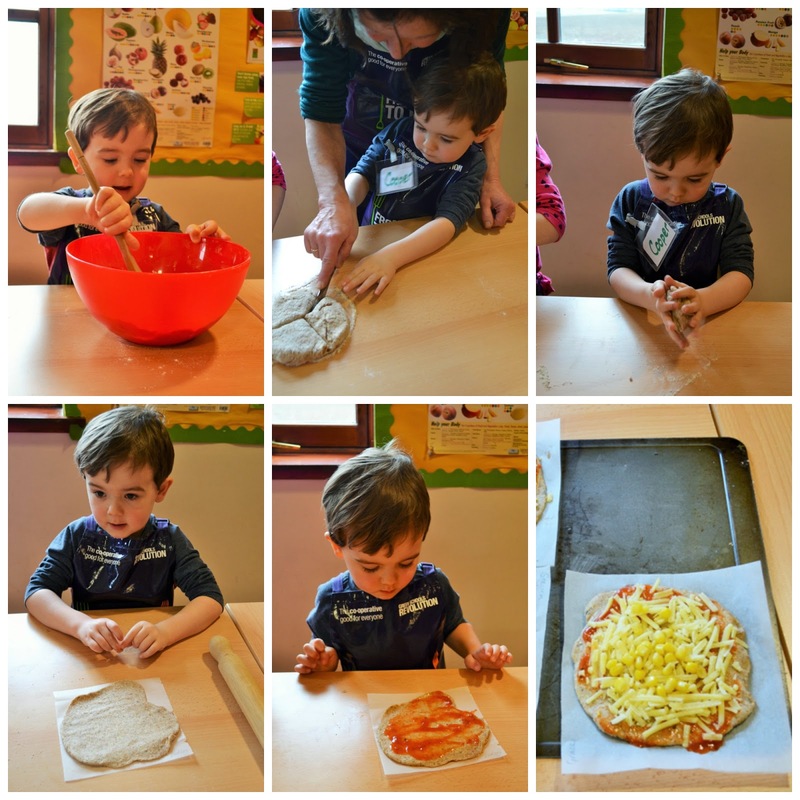 Cooper's group was taught how to make pizza dough using flour from the wheat grown on the farm and then they made their own individual pizzas. Cooper was delighted with his. The smell of the pizzas cooking was divine so it was just as well lunch was next on the agenda. We all tucked into our lunches with vigour and then the children set of on their next farm experience. 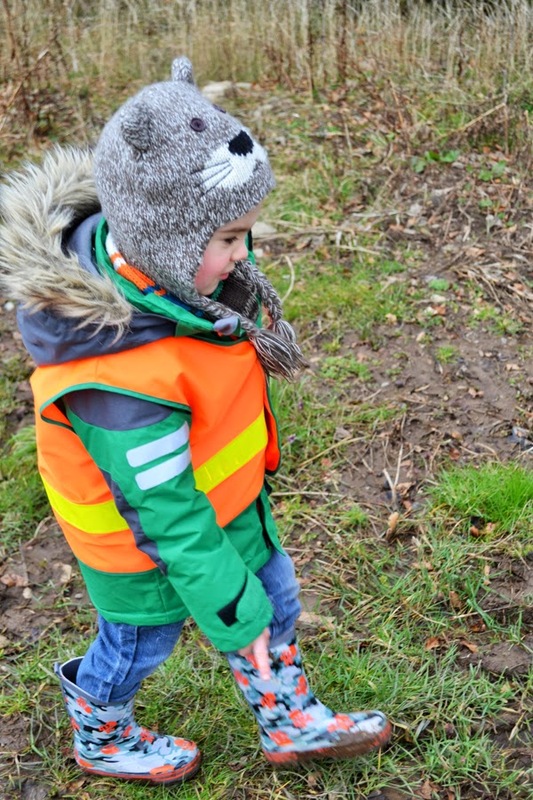 Cooper and his group were taken around the farm to look at the machinery, tractors and the hay bales, then we had a walk down the road and into one of the farm's fields where the children moved hay and dug up carrots. An excellent day out and a great learning experience for the children (and adults). A big thumbs up and 5 out of 5 for the Co-op and their initiative as well as the educational workers who were so good with the children and made the visit so enjoyable. Also a big thumbs up to Cooper's nursery who are great with the children and teach them so much. 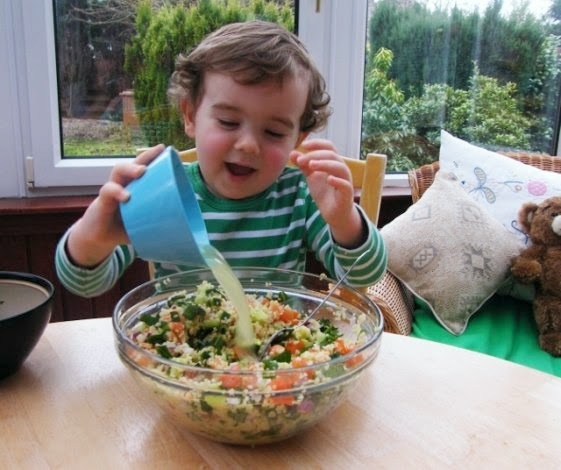 For more family friendly meals check out Dinner with Crayons, Bangers and Mash, Utterly Scrummy Food for Families, Feeding Boys and a Firefighter and French Foodie Baby. How cute is Cooper! I remember going on a trip like this in primary school, it was great fun. More kids should learn about where their food comes from! I know, I agree with you Genna. We went on one too I remember, but I seem to recall cows featured heavily. Love Coop's expression of uncertainty... "Right. And, I'm to eat this thing I've dug out of the ground, instead of the nice ones Mum finds me at the Tesco..."
What a fun day out for you all! How nice that you could get away to accompany the class. Field trip days are THE BEST. Awesome pictures! So glad to see pictures of him - he's growing so fast! He is, he is totally shooting upwards. He is learning so much so fast too. It' amazing! Aw, lovely visit and I just love Cooper's hat! Thanks Janice, it was a wee bit chilly that day so a hat was a must. We did have a great day. Cooper is such a doll. It's great to see him in the kitchen. Sounds like you had a wonderfully refreshing, if eventually tiring :) experience. It was a great day. It must have been all that fresh air that tired me out. 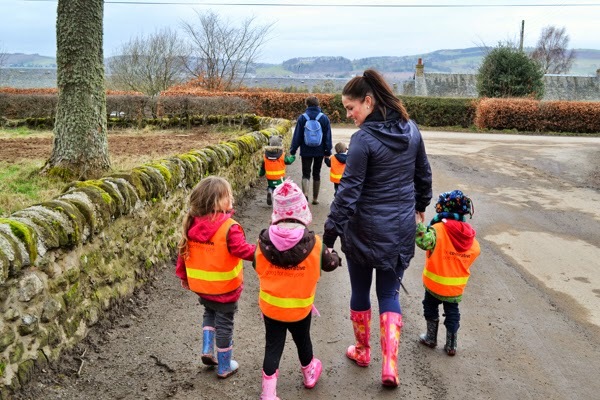 Great school trip - I love going on school trips with my children and the farm ones are always the best. Great pictures. It's a whole new experience for me, but I am sure there will be more to come. 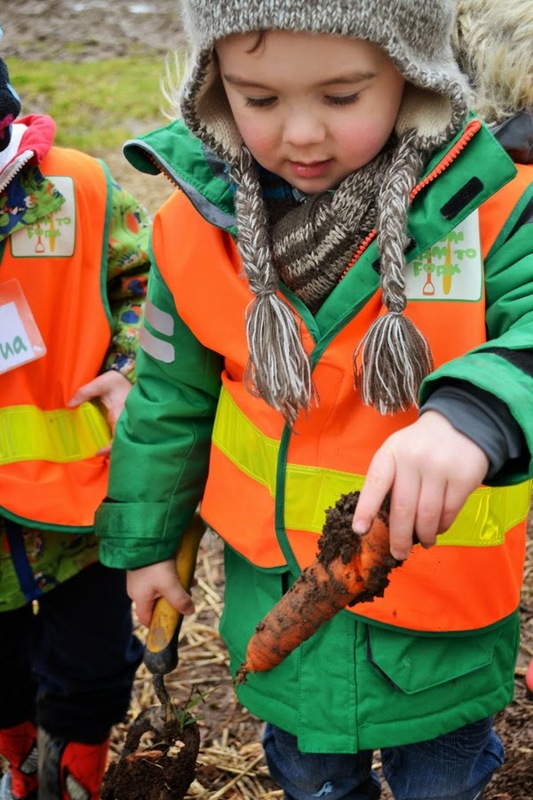 So cute, I agree, it's so important that children learn about where their food comes from from an early age. This looks like the perfect day trip for small people! It was great Ren. Cooper really enjoyed himself and I'm sure he learned lots. They really did, although the most angelic looking little girl with blond curls did pop Cooper right in the eye at one point.. Nursery can be a tough place! Excellent Jac, this is a brilliant initiative indeed. I'm sure Cooper was well ahead of the game, but these sort of trips sound fun as well as educational. It's shocking how many children have no idea at all where food comes from. I know, that is why this is such a good initiative. We aren't inner city here as a 20 minute drive in any direction and you are deep into beautiful countryside, but I know what you mean. I think this sort of trip should be compulsory as bnot enough kids have exposure to freshly grown foods nowadays. Copper looks so happy! Cooper is so cute! It seems like a lovely day out with plenty of discovering! A brilliant initiative and a great day out for Cooper!!!! Wish they could do something like this for my city boys.